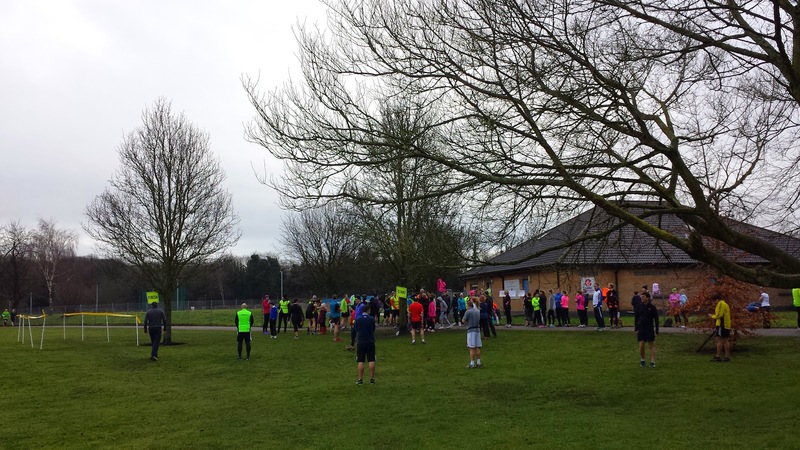 At every Dartford parkrun to date I have arrived at the crack of dawn and gone around setting up the course with either Richey, Adam, Anoushka OR a combination of all of them. This week I was given the morning off and I was free to have a lie-in and just rock up at 8.55am to run. I woke up at 6am, tried to stay in bed but eventually just got up, got ready and headed over to the park. I arrived about 5 minutes later than usual. 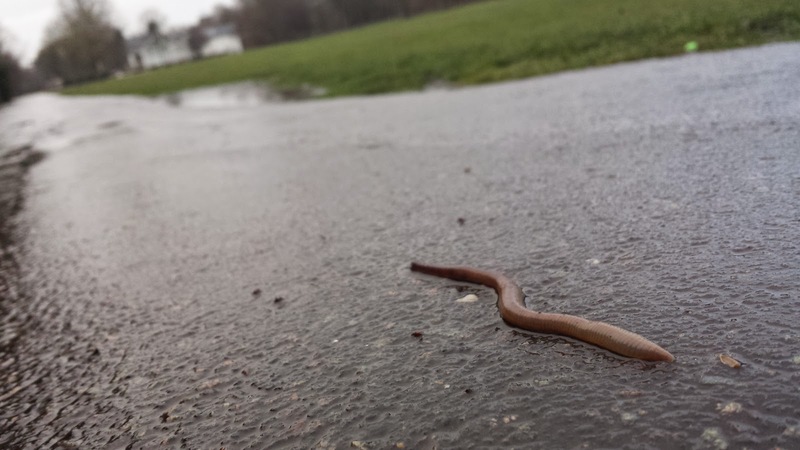 Then I got momentarily distracted by a park resident (the worm). I knew that Richey and Adam were not going to be expecting me so I came prepared with my speech about why I had still turned up early. 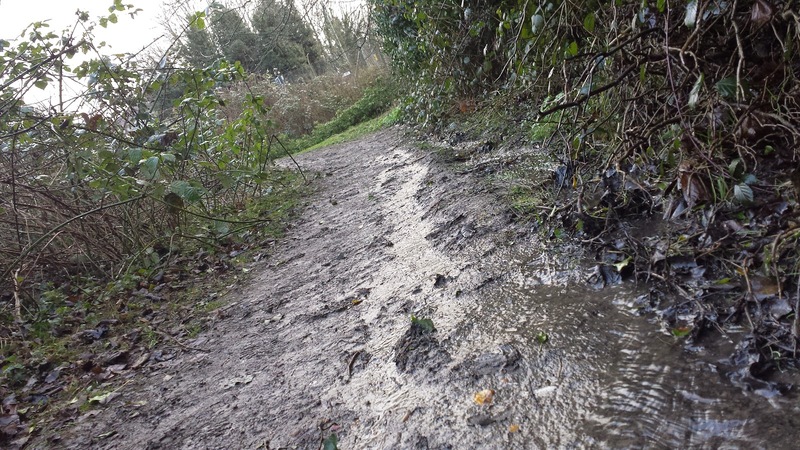 So after that I headed off with Adam to set up the course and as it had been raining heavily over the past 24 hours, we had to check the condition of our soggy corner and muddy uphill trail section. 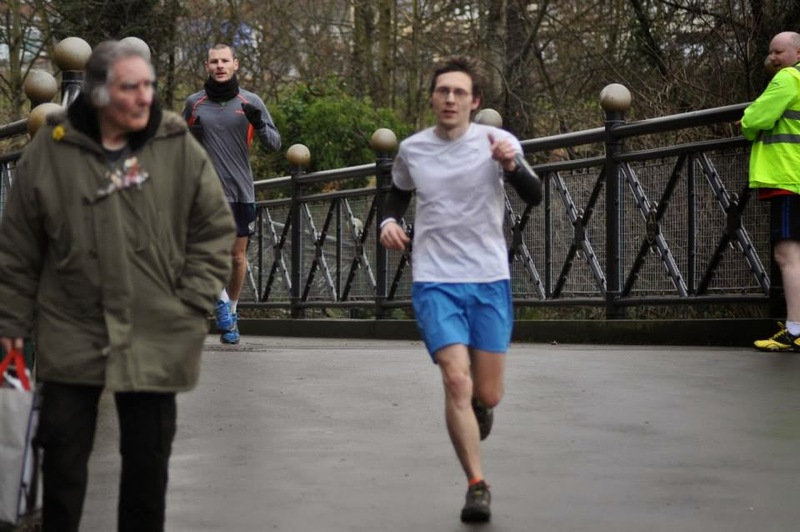 Richey remained at parkrun hq to sort out the start-finish area. The uphill trail section was wetter than usual with a bit of running water heading down towards the soggy corner which was, erm... soggy - but still runnable. So the decision was made to stick with the A course. The rain remained light for a while and then stopped completely. The run started, I decided not to hammer it and just run a nice steady pace. I thought it'd be a good opportunity to practice the pace for a 22 minute 5k time as practice for the following week's pacers day. I managed 22.07, which wasn't too shabby. The uphill trail was at its toughest since we started the event, but somehow I still managed to negotiate it fairly well. Unlike the runner in front of me who was a good 30 metres in front of me as she reached the bottom second time around - when we emerged at the top we were side-by-side. Showing just how tough that little section can be for some at the moment - I have a feeling the B course might be called into action again soon. 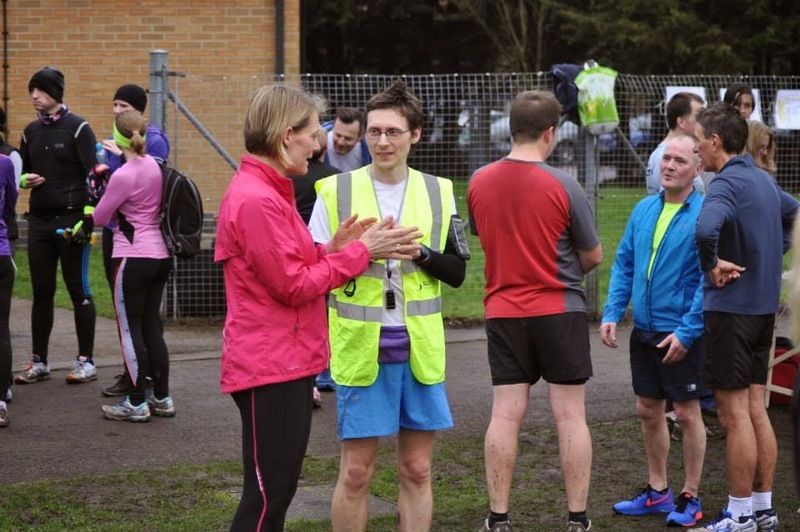 Once the run was over I grabbed the barcode scanner and after a quick chat to an uber-tourist from West-London, I got onto scanning (which of course included more chatting). It was Valentines Day and although we didn't do anything themed for the event, Richey was roving around handing out chocolates to runners as they finished. Before we knew it the last of the runners were coming in and it was time for me to think about sign retrieval. Looking around me I could see that most had already been brought back, but we do have a few signs out there that the runners never see and quite often end up forgotten. So I headed off for a quick loop to grab any that remained. For the record there was only one that had been missed. So all that was left to do was to pack it all away, upload the results, have some tea and chat some more. * the rain is optional, but was a feature this week.